I’m not sure which is a bigger sticking point for anyone who takes medications regularly – a.) remembering to take them on time, or ensuring the people you care for do b.) figuring out what possible interactions there could be with regular over the counter medications you might need to take or c.) remembering to refill your stash before you run out. 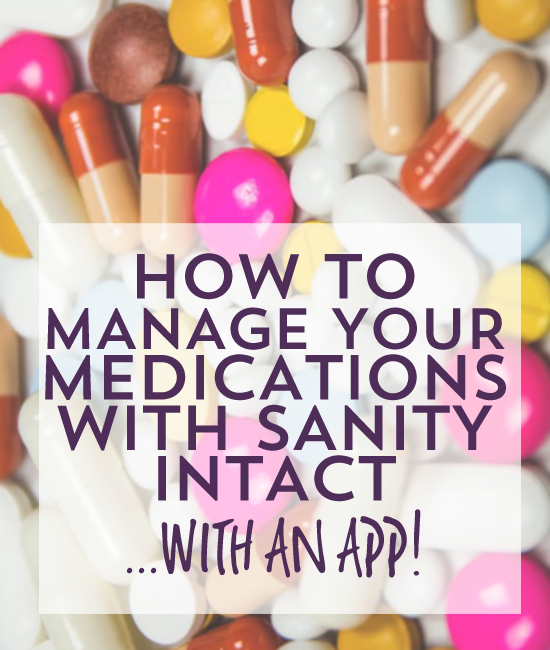 Luckily, though, there is an app for that, which will help you manage your medications or help you better care for a loved one who regularly needs help with their daily regimen. 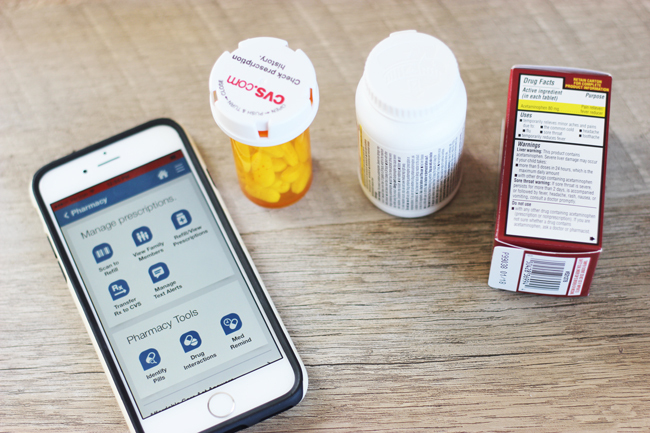 The CVS Pharmacy App has a multitude of helpful functions, but today we will go over the perks that could just help you maintain your sanity while managing your medications and busy daily routines. Order and track your prescription refills, and then pick them up without having to waste time. You can also use the app to manage your family’s prescriptions as well. If you’ve got kids or you’re the caretaker for a loved one, it can be tough to manage and maintain schedules for multiple people, and this app allows you to toggle between family members and manage their medications. You can also set up pill reminders so you don’t forget to take a pill. For anyone who has several medications, all on their own schedule, this can be a sanity saver. If you have a “once daily” and a “twice daily with meals” along with a “right before bed” for yourself or someone you care for, having a reminder is just one less thing to worry about! Okay, but what pills are these? The app can help you identify any rogue pills. If you just had your loved ones pill keeper open up and scatter their medications all over the counter and you’re not sure what is what, this can help. It’s also helpful if you’re like me and you find a rogue pill in your purse and wonder what the heck it is and how long it’s been in there. Are you a pharmacist? I’m not. Drug interactions can be freaky! If you take medications regularly or are currently on antibiotics, you might be a bit worried that a simply headache or cold could put you or a loved one in the hospital if two pills don’t play nicely together. 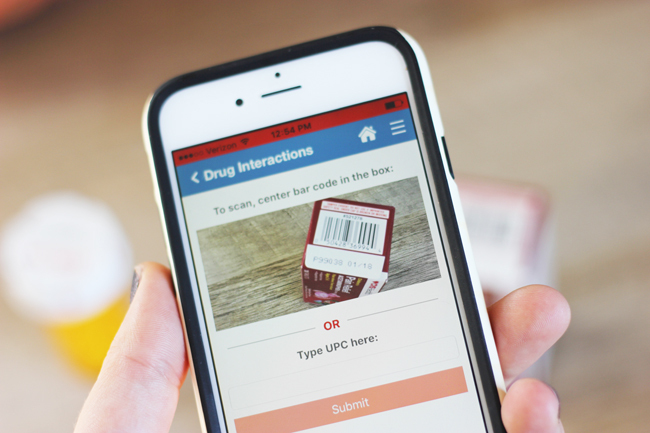 Before you pick up or take any over-the-counter medications, you can quickly scan the barcode to ensure there won’t be any interactions. This came in handy for our family when my partner was going through a round of antibiotics for a very aggressive ear and sinus infection and wanted a pain reliever to help with the aches and discomfort. Turns out, acetaminophen was a-otay, and the ibuprofen we had at home was not. We had no idea there could have been an issue for something as simple as a pain reliever tablet, and for most of us who didn’t go to pharmacy school- we’d have no way of knowing the difference between over the counter pain medications. I have to mention someone that could save you money when you’re at CVS to pick up your prescriptions- the app also links with your ExtraCare Rewards program. If you opt into receiving email offers through the ExtraCare Rewards program, you’ll receive rewards based on your shopping habits. So, while you’re in store to pick up your prescription, you can also pick up the concealer you’re running low on, a card for a sick relative and snag a deal on vitamins. You can even earn 2% back on most items in the store — every time you shop. The app will send relevant offers to your card to your phone- including deals, discounts and ExtraBucks. During checkout, you just need to scan your phone! So- there you have it, sanity saved, and a little cash too! 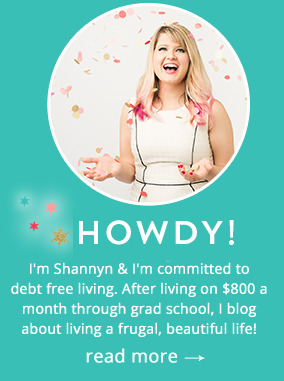 If you’re taking care of someone you love, chances are you’re already stressed out enough without having to worry about taking pills or waiting around for refills- it’s great to see that technology is catching up with our busy lives and rewarding us with savings in the meantime! 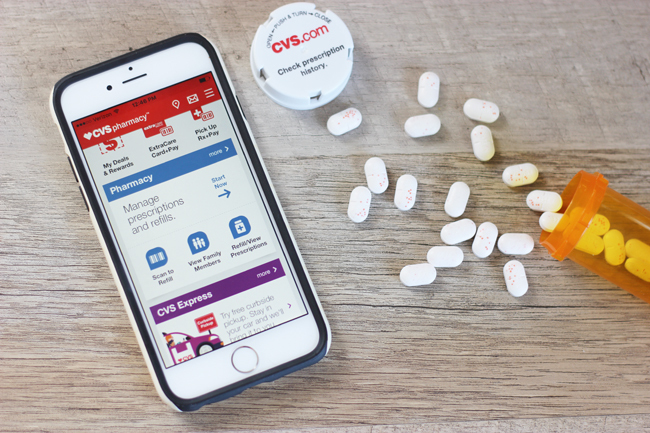 You can download the CVS Pharmacy App to manage your medications & save money on beauty, vitamins and other sanity saving products. Disclosure: I’m proud to partner with CVS/pharmacy. I am being sponsored by CVS/pharmacy for my posts and activities, but all opinions expressed are my own, and all product claims or program details shared should be verified at CVS.com or with the appropriate manufacturers.